Azure began life as a broadsheet, evolving to become one of a handful of significant design magazines worldwide. On newsstands March 30, the May Anniversary Issue will focus on Toronto. This year marks a significant milestone in Azure’s history. The Toronto-born-and-bred design and architecture magazine is turning 30 years old – and is celebrating the occasion with a special edition. When we launched Azure in 1985, it began life as a locally distributed broadsheet. In those pre-Internet days – long before we started curating our social media feeds – an awareness of design’s value and transformative power was practically non-existent in the North American collective consciousness. There was a better appreciation of architecture, though relatively little of the built environment had been shaped by architects (some of us even recall a “fear of architecture”). Undeterred, Azure set out to promote the idea that design matters, and that great design deserves to be celebrated. Those ideas have come a long way, and so has Azure and the city where it was born. In 1985, Toronto was only just beginning to develop into the multicultural metropolis that it is today. In and around the downtown core there were pockets offering cultural and culinary experiences informed by what was happening elsewhere in the world. Over time, those pockets began to expand, eventually overlapping to create what is today a rich and varied urban fabric. Along with its cultural growth, Toronto began to invest in modern architecture. Beautiful and thoughtful projects began to appear, including the Gardiner Museum, Brookfield (formerly BCE) Place and the Bata Shoe Museum. More wildly expressive buildings followed, such as the Ontario College of Art and Design extension, the Michael Lee-Chin Crystal at the Royal Ontario Museum and the Art Gallery of Ontario renovation and expansion. 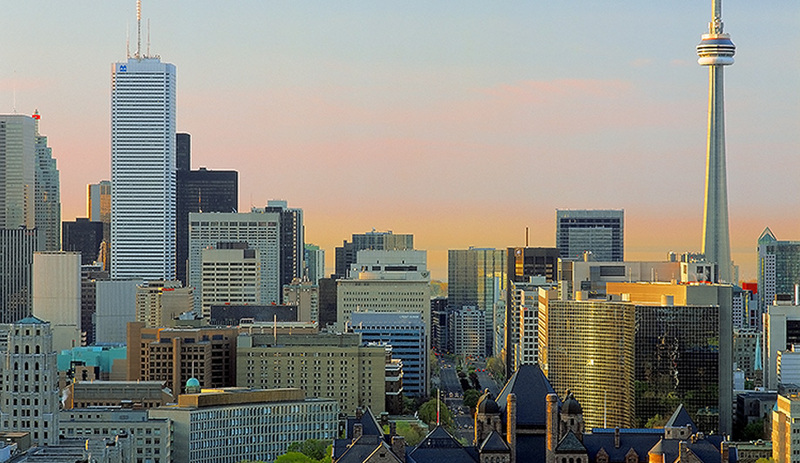 In 2013, Toronto surpassed Chicago in population, moving into the position of fourth largest city in North America, and for close to a decade Toronto has been the continent’s undisputed capital of highrise building. 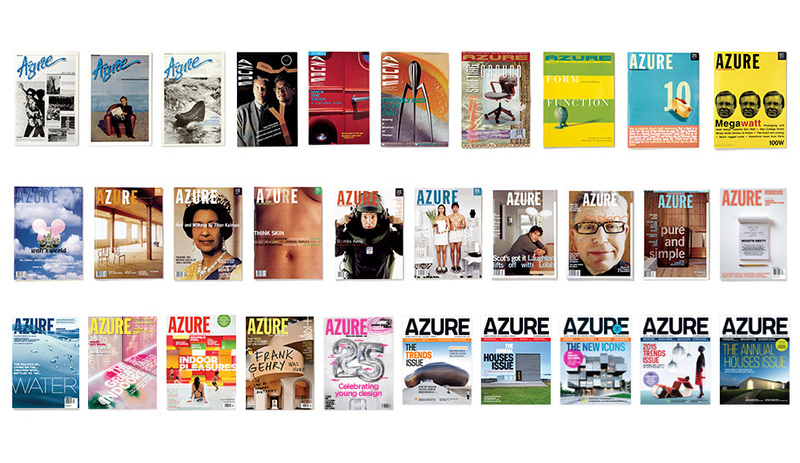 As the city evolved, so did Azure, joining the ranks of a handful of significant design magazines worldwide. As our coverage expanded to become more international, we continued to capture the major shifts in Canada, placing them within the context of a world increasingly aware of the power of great design and architecture. 2015 is a special year for both the city and our magazine. Toronto is seeing many building and infrastructure projects coming to fruition, including the MetroLinx airport/Union Station rail connection; dozens of venues for the Pan Am and Parapan Am games and the athletes village; and multiple waterfront projects. For the 30th Anniversary Issue – our May issue, which hits newsstands on March 30th – we will be shining a spotlight on Toronto. This collector’s issue will have special significance for all those who have been witnessing this remarkable transformation at close range. Outside of Toronto, it will provide an insider’s view of the dramatic physical evolution the city is undergoing, along with insights into the designers and architects who will be shaping its future. Leading up to this special issue, we will be posting stories and tidbits, sharing our fascination with Toronto’s transformation and our 30-year perspective on the world of architecture and design. We invite readers and design-lovers to follow us on Facebook, Pinterest, Twitter and Instagram, sharing your thoughts and images with the hashtag #Azure30.